Work in stained-glass using innovative layering techniques with brightly coloured chunk glass. 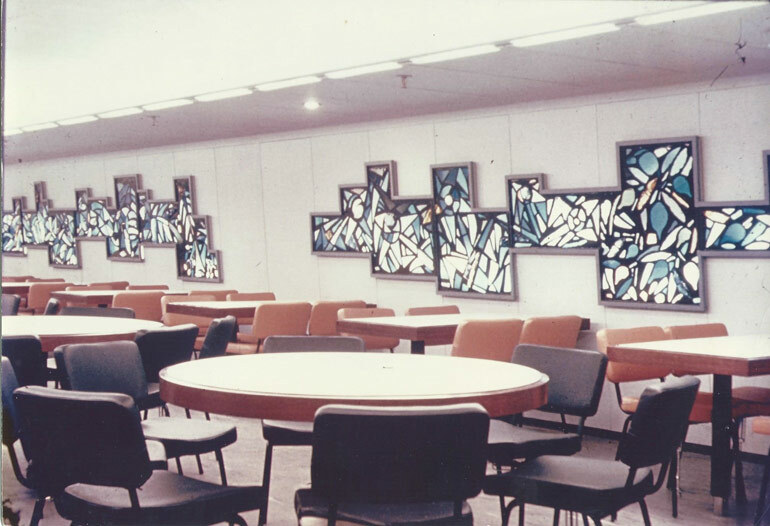 Azaz's first commercial stained glass was a commission onboard the Zim Lines cruise liner S/S Moledet, which routinely sailed between New York and Haifa in the early 1960s. His technique of using pieces of intensely coloured glass, became a hallmark in his other glasswork commissions. 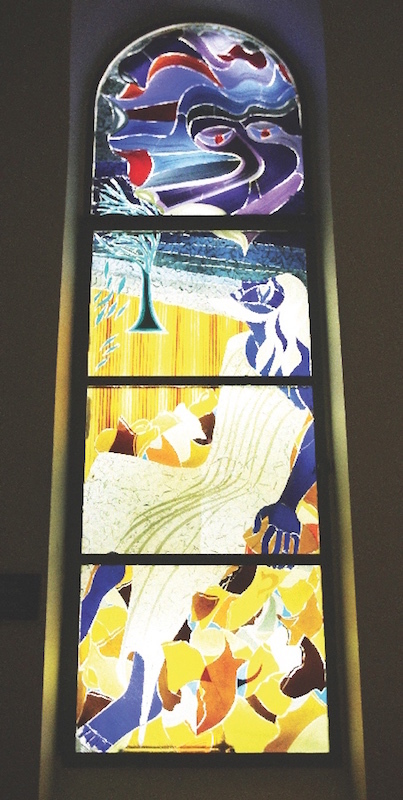 Large stained glass window projects include synagogue windows at Carmel College, praised as using "extraordinary technique with rough pieces of coloured glass like crystals" and "brilliant and innovative artistic glass"; at Marble Arch Synagogue (over a period of 17 years); at Headington Hill Hall, once the former HQ of Pergamon Press, (now part of Oxford Brookes University campus) in Oxford, UK and at Temple Sholom in Chicago. USA. Azaz also executed a number of private stained glass commissions, in collaboration with Israeli interior architects including Dora Gad, Lazar Heskia and Rafael Blumenfeld. 'FRUITS OF THE BIBLE': Stained glass windows for main dining hall. 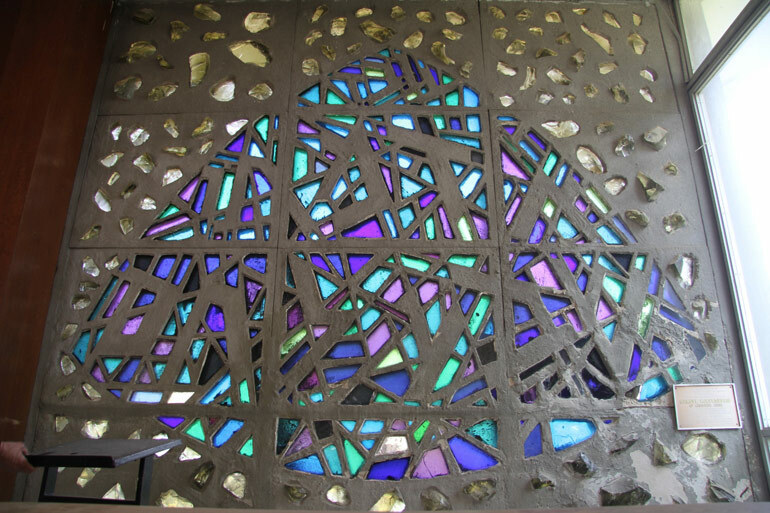 Stained glass panels metres long and 30 metres in total, thin sheet and chunk coloured glass set in black epoxy, fiberglass reinforced both for light weight and vibrations of motors. 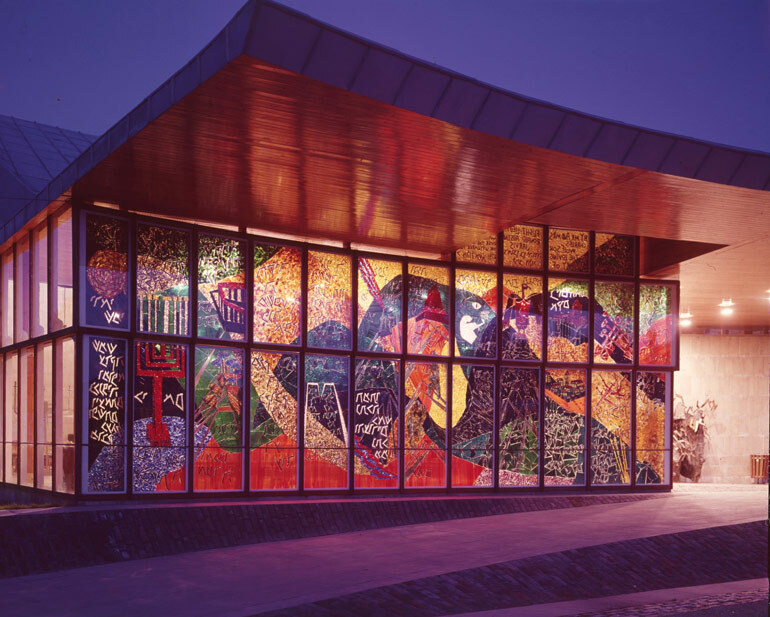 'SIX DAYS OF CREATION' & COMMEMORATIVE WINDOWS: Multi-coloured plate glass windows. 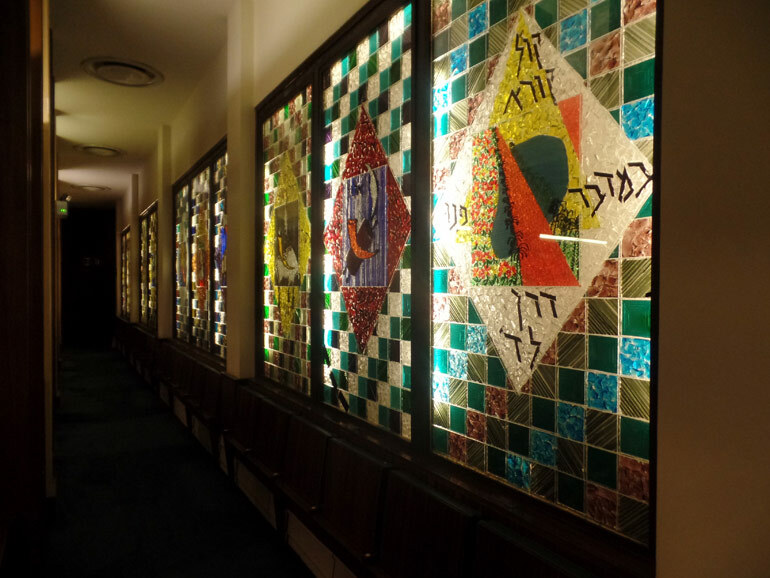 JEWISH FESTIVALS': Set of 36 stained glass windows. ''SAMSON WALKING OFF WITH THE TOWN GATES IN GAZA': Stained glass window.